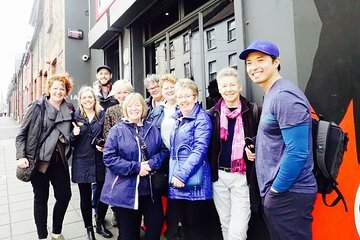 The south of Ireland is known for its cuisine, but knowing the best spots can be difficult on a self-led tour. Explore Cork’s cheesemongers, delicatessens, bakeries, and markets with a local guide, and get a taste of authentic Irish fare, with food and drink tastings included in the price. Benefit from the small-group tour size for a more intimate experience, and receive personalized recommendations for the rest of your stay. I would've loved to have heard more about the city and the food as we were walking around/trying things. While some of the food vendors did speak to us, not all did, and our tour guide only offered a few fun facts in the 2.5 hours. For the amount of food we got no alcohol and the quality of information, I don't think this tour is worth this high of a price.